The Board of Management (BoM) manages the school on behalf of the Patron Louth & Meath Education and Training Board (LMETB). Although the BoM is accountable to the Patron and the Minister for the overall running of the school, it is the principal who is responsible for the day-to-day management of the school. The principal is accountable to the BoM/ETB. The BoM meets a minimum of 5 times in the school year and once every term. The dates of board meetings are usually decided at the first board meeting of the year and thereafter may be obtained from the principal on request. Who is on the BoM of my school? The BoM has eight members. The composition of the board is made of up two Patron’s nominees, two teacher nominees (including the principal), two parent nominees, and two community members. Are the parent nominees my representatives on the board? No, they have been elected to the board to ensure that the board is open to views from all sectors of the school community. The board is a corporate body, not a representative committee. The decisions taken by the board should reflect the views of the board members nominated by parents, staff, the patron and the wider community within the school’s catchment area. The board takes its own decisions following a process of consultation with its own members. It is accountable to the patron for its decisions. How am I kept informed about the work of the Board of Management? Following each board meeting an agreed report is published right her on our school website. The purpose of the agreed report is to keep the school community, including parents, informed about the work of the board. If I have a complaint about the school, can I send that complaint to the BoM? Your complaint may eventually come to the attention of the board. However, all complaints are dealt with in accordance with the school’s complaints procedure. Each school has a complaints procedure which is available from the policies section right here on the school website. This policy has been developed in order to ensure that all complaints are dealt with in a fair and efficient manner. All complaints should be directed, in the first instance, to your child’s class teacher. Currently 34 Acceptance Forms received for Junior Infants September 2019- not all Acceptance Forms have been returned yet. School Self Evaluation is proceeding based upon Handwriting (closely linked with spelling). We are still collecting data. Parent Survey has been completed. Pupil work samples have been collected. Staff SWOT analysis and pupil surveys to follow. With an enrolment of 238 pupils on 30.09.2018 we will be entitled to one more teaching post in September 2019 if the 26:1 pupil teacher ratio remains the same. Total attendance percentages for September 2018 are slightly better than the same month las year at 94.9% attendance for the month. We will continue to reward classes for overall monthly attendance and individual pupils for attendance at 100 days and full year (183 days). Staff are committed to providing Excellence in Education. The Board commend staff on the high level of CPD being undertaken on a regular basis especially in the area of IT and Well-Being. Principal attended DoES Inspectorate Principal’s presentation in relation to Circular 0016/2018 Re-engaging with the SSE process in Primary Schools. All staff attended NCCA in-service on new Primary Language Curriculum. The staff have agreed that in order to follow on from new practices we have put in place for the teaching of spelling in the school (based on the thesis of Brendan Culligan) in year 1 of this cycle of SSE we will focus on Writing and specifically Handwriting. We have had an advisory visit from our DoES Inspector. The focus of our SSE is to be Handwriting. We are beginning now to gather evidence and soon after that we will analyse the data. Based on judgements made we will write and share our improvement plan. We hope to have our improvement plan in practice after mid-term break in November. In line with a recommendation made in our WSE report and in keeping with the ‘Equality-Based’ cornerstone of the Community National Schools ethos statement the Board of Management support the proposal by school Principal to establish a Student Council for Ard Rí Community National School. The date for the establishment of the council is January 21st, 2019. This date marks the 100th anniversary of the first Dáil Éireann in the Round Room of the Mansion House. School Child Safe-Guarding Statement and Risk-Assessment, School Critical Incident Management Plan and Anti-Bullying Policy were ratified by the Board. The following points of LMETB Policy were authorised and noted by the Board of Management: Principal may suspend for 3 days as per 3.2 of the LMETB Suspensions and Expulsions Policy. The Principal, with the approval of the Chairperson of the Board of Management may impose a suspension of up to 5 days in circumstances where a meeting of the Board cannot be convened in a timely fashion. School did not meet the criteria for developing school status under Circular 0010/2018. Appeal was made by Principal/Director of Schools and HR to the Primary Staffing Appeals Board. The Appeals Board determined that we do not meet the criteria for a developing school post. At the end of year 1 of the new Attendance Strategy the Aladdin Attendance by Month Report shows total overall attendance percentages are exactly the same this year as the same time last year at 92.9% per month. We will review the implementation of the strategy in 2018/2019. The Board would like to commend and thank the Parent Association on their continued work in supporting the Principal, staff, families, children and the wider community. 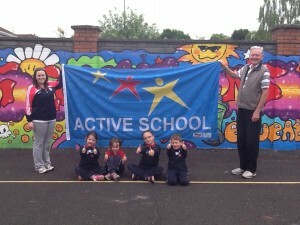 The broad range of initiatives introduced and being run by the PA contribute positively to school life at Ard Rí. The following policies were discussed, reviewed and ratified at the May meeting of the Board of Management; Code of Behaviour (inc LMETB Suspension and Expulsion Policy and Procedures), LMETB Vetting for ETB Staff and Volunteers, LMETB Use of Facilities Policy and LMETB Data Protection Policy. The Board wish to reiterate we will communicate clearly class allocations for 2018-19 including arrangements for multi-grade classes as early as possible in order to avoid confusion and upset for the community. At time of meeting confirmation of allocation of teachers for 2018-19 had not been confirmed by DoES. Planning Permission has been granted for 2 new prefabricated classrooms on the ground at Navan Tennis Club. We are working with LMETB Building Unit on the project. Commencement notices have been issued and we hope work can begin as soon as possible. The following school based policies were discussed and reviewed at the meeting of the Board. Following discussion they were ratified by the Board as follows: Child Safeguarding Statement, Child Safeguarding Statement Notice and Risk Assessment. The Board would like to commend and thank staff, parents and volunteers who worked to clear snow and make the school safe to reopen following Storm Emma. The Board prioritise the implementation of new guidelines outlined in circular 0081/2017- Child Protection Procedures for Primary and Post-Primary Schools. Two members of staff are receiving training in National Educational Psychology Service Friends for Life Programme at present. Friends addresses anxiety and builds resilience in children. The Board are well aware of the increase in anxiety in young people in our society and support the introduction of Friends for Life at Ard Rí Community NS. Absent rates have improved within the school from 10.8% in December 2016 to 8.7% in December 2017. The Board encourage the continued implementation of the School Attendance Strategy. The Board commend the work of the Ard Rí Community NS Parent Association; especially in relation to funds raised for 6th Class Library and ICT, Hampers donated to Meals on Wheels, and the securing of Council funds to pay for an AED for the school. The Board support plans for social events, animal welfare awareness events, career guidance, parent training, menstrual care provision. The board wish the Cahirperson of the PA well in her role on the Meath Board Assembly for the National Parents Council. The Board look forward to meeting representatives from the Parent Association at the next meeting in March. The Board have ratified the Intimate Care Policy and encourage the formal implementation of Intimate Care Plans where required. The Board noted the LMETB Complaints procedure and support its immediate implementation. Updated policies are now available for download from the school website and from the school office upon request. The Board wishes to remind parents that based on enrolment figures and trends multi-grade classes will continue to be a feature at Ard Rí Community NS. The staff and management will continue to assign classes as equitably as possible. The Principal will try to announce September 2018 classes before summer break. The Board support the efforts of the Parent Association to support the parents and children in the school community. The Board support the establishment of a Parent Association mailing list to inform parents of support and upcoming events.